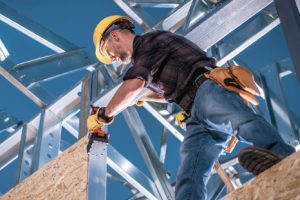 The standards being referenced in the National Construction Code (NCC) 2019 has been a major focus of Standards Australia in recent months with a number of publications intended to be referenced. In addition, it is important the sector now looks at the projects that could be part of NCC 2022 with stakeholders encouraged to get proposals in soon for any standards they wish to see in the next three year amendment. Over 200 standards are included in the National Construction Code (NCC) with technical committees of Standards Australia working tirelessly to ensure each section of the building sector is supported. In publishing standards to be included in the NCC 2019, there are a number of standards being referenced for the first time as new standards, while others have been amended before they became part of NCC 2019. AS/NZS 4600:2018, Cold-formed steel structures. With the NCC being a three-year amendment cycle now, it is important any standards intended for reference in NCC 2022 are discussed and put forward as proposals as soon as possible. With hundreds of standards referenced in the NCC, it is vital that each section of the industry considers how the NCC and standards align in their field. By submitting a proposal and working with Standards Australia to address a need in the building and construction industry, the whole sector and the broader Australian community are better off. The Australian standard underpinning the way concrete supports building structures right across the country has been published following its revision. AS3600:2018 Concrete structures has been published with new provisions around earthquakes among a number of other requirements around the use of concrete in multi-storey buildings. A major update to this edition is the inclusion of guidance around concrete performance during an earthquake as a major section, as opposed to it being discussed in an appendix as in previous editions. The section on earthquakes has been developed based on experiences in the devastating events in Christchurch in 2011, as well as some leading research in the field. AS3600:2018 Concrete structures has been published to align with the new three year cycle of the National Construction Code, of which this Standard may be a primary reference document. The steel used to construct fences, lighting poles, steel framed houses and shelves in major retailers is the focus of a newly published standard backed by Australian research and the latest technology. AS/NZS4600:2018 Cold-formed steel structures has been published recently following extensive consultation with stakeholders across Australia and New Zealand. This Standard is also intended to be a primary reference in the National Construction Code 2019. “This new standard is a quantum leap forward for the steel industry,” said chair of the Standards Australia Technical Committee responsible for the standard, Professor Greg Hancock. World-leading research undertaken by Australian experts has featured prominently in this Standard. There is also a brand new section on fire design guiding the use of this steel in mitigating the impact of fires.